"Vanilla". It's not a term builders tend to use when introducing their motorcycles, but in this case there's good reason. 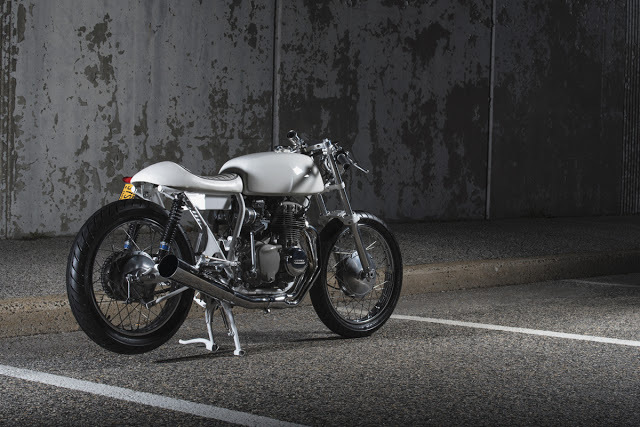 Jeff Gittleson describes his '73 Honda CB350F as "Vanilla. A no frills build wearing only the essential parts for the function machine". So rather than the 'dull' or 'boring' definition we tend to apply to the term in Jeff's case it's all about purity; and the analogy is one he's using for the work he produces out of his Kinesis Moto workshop. Custom wiring harness and high output coils.